In the meantime, tribute is also being paid to the Bauhaus in the Netherlands in the form of a major exhibition – for good reason. Because a whole host of artists, architects and designers from Germany’s neighbouring country made a huge impact on the Bauhaus School. One example is the De Stijl group of artists formed back in 1917 and its founding members Theo van Doesburg and Piet Mondrian. Or architect Mart Stam and typographer Piet Zwart who were both guest lecturers at the Bauhaus. 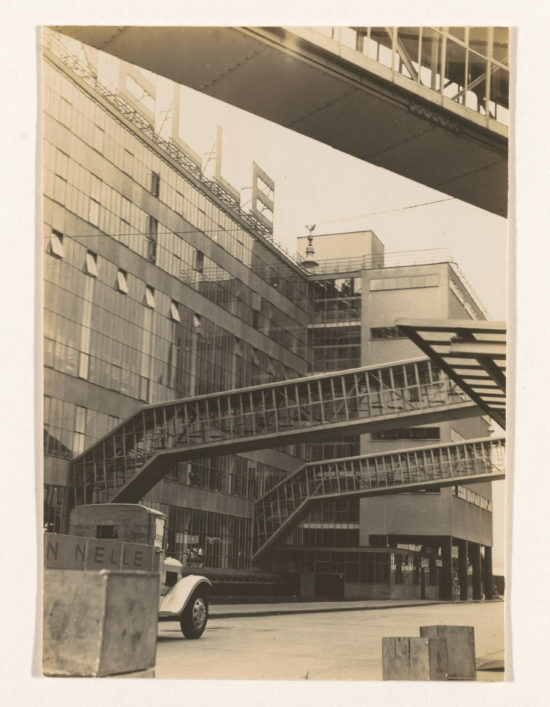 What’s more, in the 1920s, Rotterdam was the city in which modernism in architecture and design was the most strongly represented. Subsidised housing projects by urban architect J.J.P. Oud – also a co-founder of De Stijl – attracted the attention of lots of German architects, including Walter Gropius. And Cees van der Leeuw, director of the Van Nelle Factory, where the showroom belonging to Wilkhahn Netherlands is located today, also became friends with the Bauhaus founder. Iwao Yamawaki, The Van Nelle Factory in Rotterdam, c. 1930-32. Rijksmuseum Amsterdam. © heirs of Iwao Yamawaki. 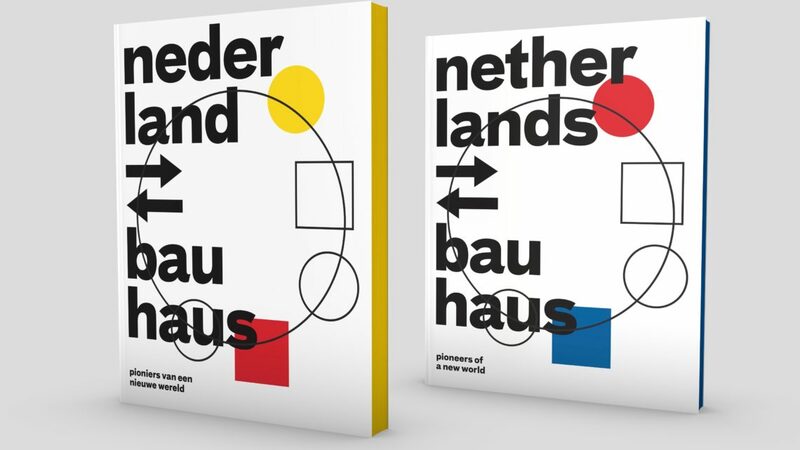 Therefore, Netherlands ⇄ Bauhaus – Pioneers of a New World is the logical title of the exhibition in the Boijmans Van Beuningen Museum. 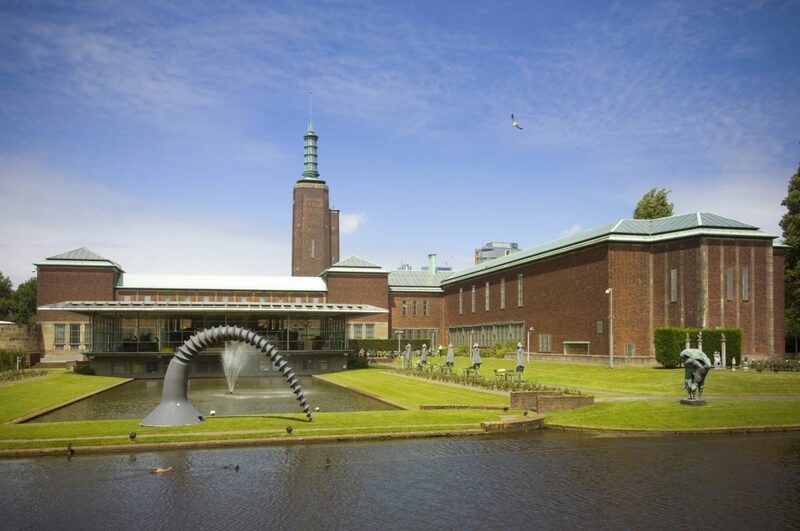 With over 800 works, it provides a unique glimpse at the inspiring interaction between the Netherlands and the Bauhaus – from art to typography, furniture, ceramics, textiles, photography to architecture. An illustrated book with 20 essays accompanies the exhibition. Furthermore, the whole of Rotterdam will be featuring Bauhaus-related events over the next few weeks. Click here for further information on the exhibition and the museum. Click here to see the entire Bauhaus centenary programme. To visit the website of the Van Nelle Factory, in which the Wilkhahn showroom’s located, click here.